Cisco is introducing the new Cisco Catalyst 3750-X and 3560-X Universal Power over Ethernet (UPOE) switches. The Cisco Catalyst 3750-X and 3560-X UPOE switches are part of the X-series family of enterprise-class switches and they extend the IEEE 802.3at PoE+ standard to deliver up to 60W per port over standard cabling infrastructure. These switches provide high availability, scalability, security, energy efficiency, and ease of operation with innovative features such as Cisco StackPower, optional network modules, redundant power supplies, and Media Access Control Security (MACsec) features. 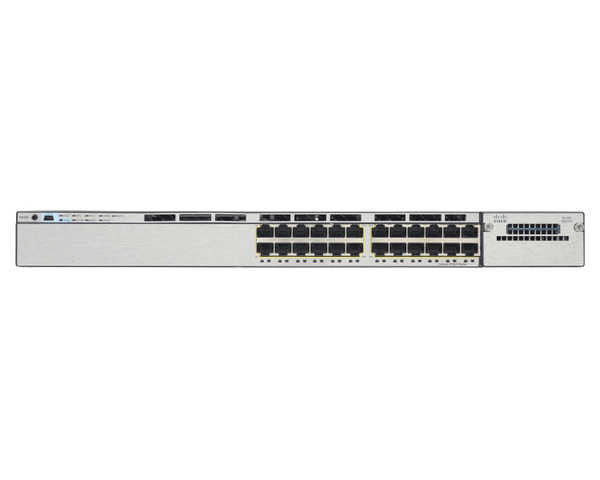 The Cisco Catalyst 3750-X Series with StackWise® Plus technology provides scalability, ease of management, and investment protection for evolving business needs.